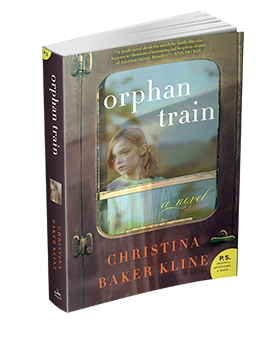 As January passes we have been passing around our copies of Orphan Train. Christina Baker Kli ne is the author we are so excited about. This book covers the lives of women who have something to tell us. They don’t know that yet. The more time we spend talking about them and rereading certain passages the more they mean to us. This book can be enjoyed by young adults as well as grown ups. My grand daughter Emma is going to read this. My grand son Simon may enjoy it too. Talking about a book is almost as good as reading the book. I have found that people who love things or activities love to talk about them. Birding or cooking and especially reading. By hankinsonlibrary in Uncategorized on January 8, 2014 .